Dpegujarat.org Online Badli Second Round 2016 Notification and Instruction Released by Department of Education, Government of Gujarat. Gujarat Primary Teacher Transfer (Badli) Second Round Online Application and District wise School List will be available on 23 August, 2016 at 11.00 A.M. 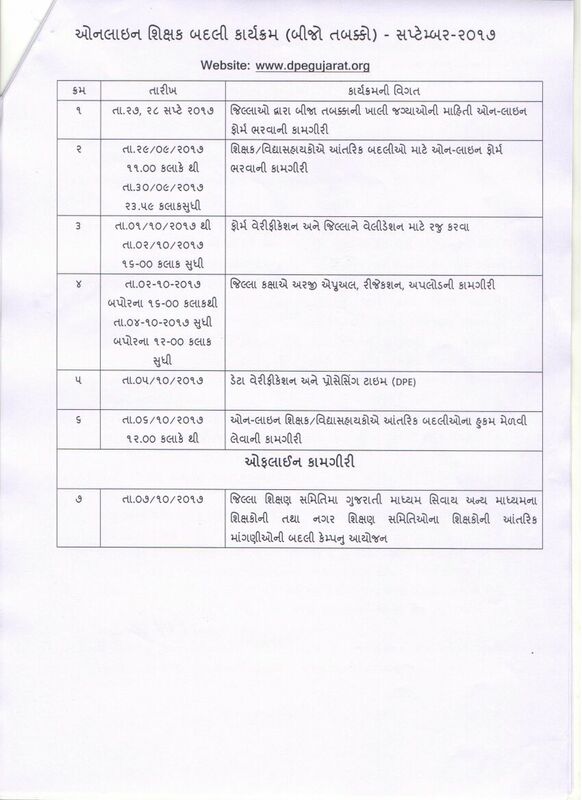 Candidates can read full detailed notification through official website portal www.dpegujarat.org. Note: After Closed Online Application, Submit Hard Copy at TPEO office on or before Last Date 26-08-2016 at 4.00 P.M.